We should be talking about cheesy quinoa macaroni and cheese. But we're not. 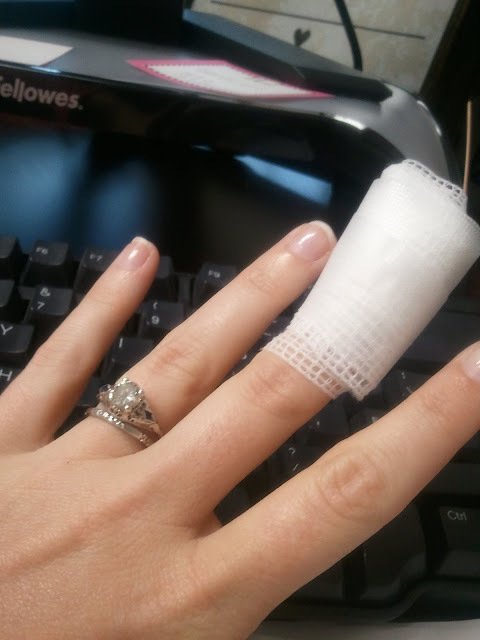 Instead, you're sitting here looking at a picture of my creepily wrapped middle finger. I was just so excited about the possibility of the cheesy quinoa mac and cheese that I forgot to watch where the knife was going. You should always watch where the knife is going. well your ring and nails look fabulous.